Should You Consider Hand Scraped Wood Floors? If you keep up with design and remodeling trends in any way, you’ve probably heard about the rising popularity of hand scraped wood floors. Indeed, hand scraping is rapidly becoming one of the dominant trends in home design these days. But is it a fad, or is it here to stay? What are the benefits of hand scraped hardwoods, and should you consider them for your home? Let’s explore the answers to some of these questions. 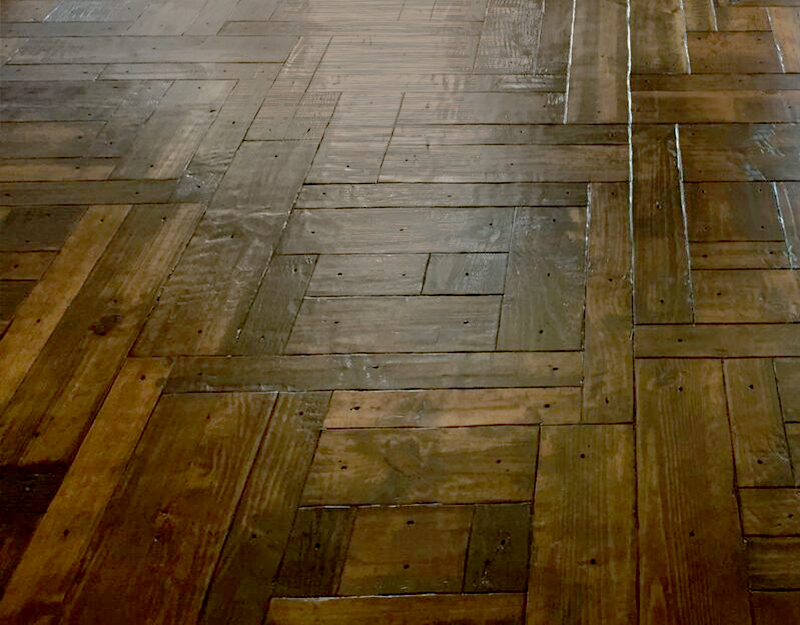 As the term suggests, hand scraping is a technique used on wood flooring to give it an almost vintage look. Just as stonewashed jeans have a “worn” appearance with natural inconsistencies in the dyes, hand scraping gives wood floors a deeper sense of character, creating a look that is unique to every floor, especially during the staining and finishing process. Hand scraping may be the latest craze in home design, but its roots actually go back many years. Before the days when we had machines to fashion wood planks, those planks had to be sawed and finished by hand, which as you can imagine often left them uneven. Craftsmen would try to even out these irregularities by “scraping” the wood by hand using special tools. Nowadays, ironically, we use hand scraping to add character to the wood—to create more irregularities, rather than eliminate them. Easy to maintain. The unique rough finishes in the wood are great for concealing dust, dirt and pet hair, which means you won’t feel compelled to sweep the floors every day. Highly livable. Pets, kids and heavy foot traffic generally present no threat to hand scraping. Scratches, scuffs and marks blend naturally into the texture of the floor, making it practical for many families. Aesthetically satisfying. The complex textures and variations in the wood play with the light and add visual interest—a rustic yet elegant look that pleases the eye in unique ways. At Renaissance Hardwood Flooring, our craftsmen are skilled at hand scraping techniques that can add character to almost any wood floor. To discuss whether hand scraped wood floors are right for your next flooring project, call us today at 918-298-4477.